Have you ever wondered what pushes you to create? Maybe, for you, creativity is an adventure. It's about exploring and discovery: living through new experiences—embracing life to the fullest. Maybe, for you, creativity is about self-expression and enlightenment. Changing the world for the best—making a real difference with your creative work. Maybe, for you, creativity is about kinship and community. Being surrounded by friends—making cool things together. Or . . . maybe, for you, it's about mastering your gesture. Spending years perfecting your skills to become the best you can be. But, guess what? No matter what your reason is, what really counts is that creativity makes you happy—You "just have to do it." Can you relate, here? If you do, you've landed in the right place—because the creativity concept books You Are a Circle and its companion, You Are a Message, were created with you in mind. Printed on premium cream paper, these books combine inspiring quotes (designed to jolt your creative mind), each facing a handmade woodblock print. As you'll discover, the design is pure minimalism. Reading these book is a fun process, as you can pick any page to get inspired (even for just a few minutes: while you wait to upload a file online, or right before going to bed). 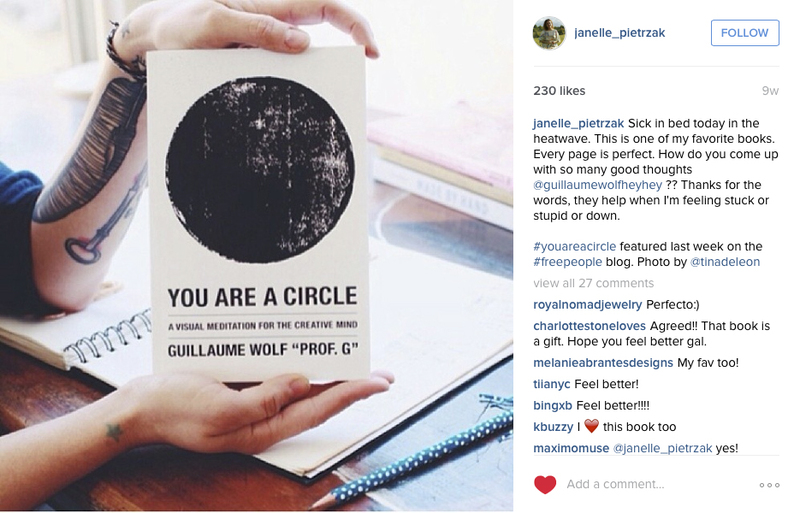 Unlike other long-winded books on creativity, You Are a Circle and You Are a Message go straight to the point. They will become references you’ll go back to over and over again. In addition, these books look so beautiful (think "books-as-objects")—they'll fit perfectly in your creative environment. 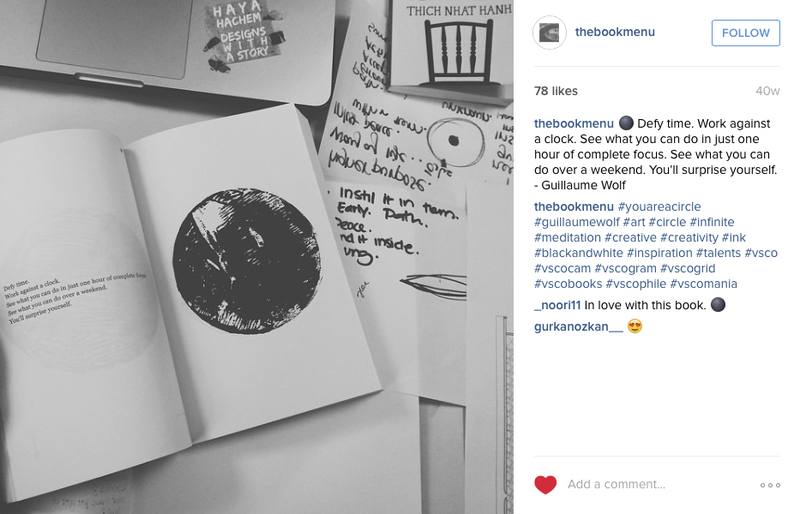 Mixing inspiring quotes and art, these timeless books will inspire you for the years to come. Both books are for creatives like you (artists, photographers, illustrators, architects, designers, art directors, creative entrepreneurs, performers, explorers, bloggers, makers, artisans, and freelancers). Together, they cover every aspect of the creative process—and talk honestly about the challenges of the creative journey and how you can move beyond them to grow and succeed. You Are a Circle and You Are a Message are an indie phenomenon. These two cool classics have become a part of the lives of many creatives (including top artists) coming from different backgrounds. Why? Maybe because these books are a labor of love that feels really unique. WHAT’S THE DIFFERENCE BETWEEN THE TWO BOOKS? 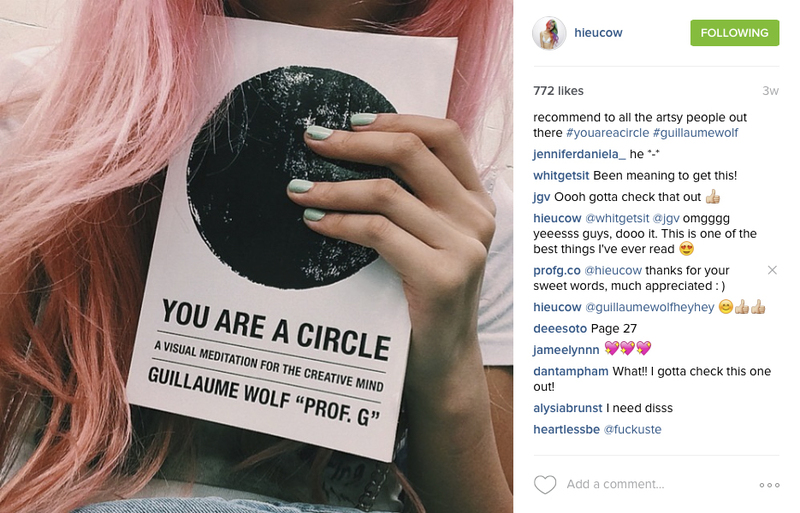 You Are a Circle talks about trusting yourself as a creative. It’s an encouraging voice that challenges and motivates you to stay focused long-term, inviting you to keep experimenting and growing. It’s the book you dive into to remind yourself that creativity is a gift—and that no matter how hard it can be, you will grow through the journey of your creative process. It’s perfect go-to book when you need to be uplifted on a hard day. But more importantly, it’s also the book that encourages you to dream big. Behind-the-scenes: A teaser video showing the block printing process used to create, You Are A Message. 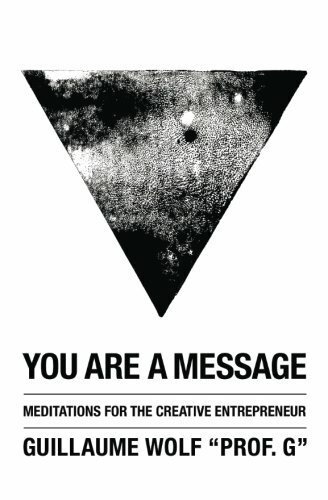 You Are a Message is for the creative entrepreneur. Now that you started your creative journey, it’s time to promote your work and learn how to build a meaningful brand. This book covers fundamentals of brand-creation. It’s the book that shows how you can create a creative business while remaining true to your own values. WAIT . . . WHO IS THE AUTHOR? Guillaume Wolf “Prof. G” is a French-American art director/visual artist, and an associate professor at ArtCenter College of Design, in Pasadena, California, where he is known for his unconventional teaching approach, quirky humor, and high energy. A TEDx Fellow, he has collaborated with Daft Punk, and has worked with numerous cool fashion brands. He lives in his mountain residence in Lake Arrowhead, California, with his wife and daughter. "Prof G. is a guru, and has many lessons to share. This book is a truly refreshing take on creative strategy, and a great tool for anyone in our industry. I would highly recommend it." "Guillaume Wolf is a master of cool. His knowledge, combined with his perfect design skills makes him completely unique in today's landscape." "Guillaume always pushes his work beyond expectations. He's never afraid to try new approaches to express his vision." "A navigator of trends and culture, . . . inspiring." Curious? Treat yourself to a good dose of creative positivity. Go for it . . . for the price of 3 cups of coffee, you're getting a cool book you'll cherish for years to come. How cool is that? 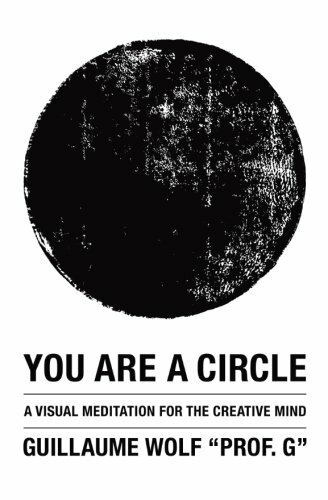 >>> Check out You Are A Circle and You Are a Message on Amazon. Prof. G - Create. Inspire. Make a difference.